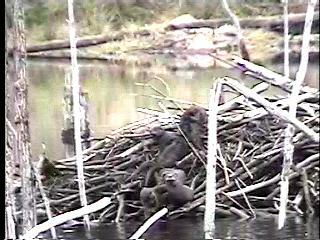 Since 1997 I have been hiking with a camcorder on an island in the St. Lawrence River just east of Lake Ontario. 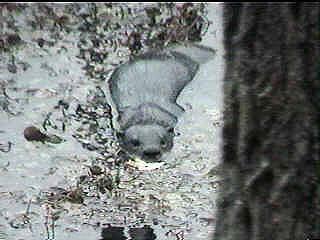 The otters I see have shown me how they raise their young and how they thrive in the river and its islands' swamps. I generally watch one family, a mother, her pups, and often a female helper, beginning in June and with luck through the winter. 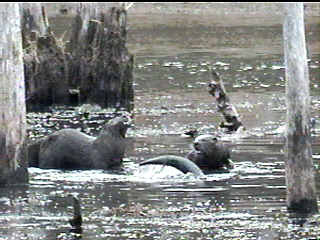 Sometimes two families will join together, like the six otters below. I see single males and groups of males occasionally. Despite their popularity, otters are poorly understood. However, their numbers are increasing and more people are seeing them. I invite you to join me in learning more about them. A first step is learning how to identify otters. 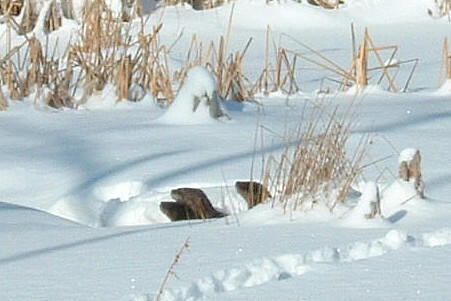 Where I live minks are most commonly mistaken for otters. 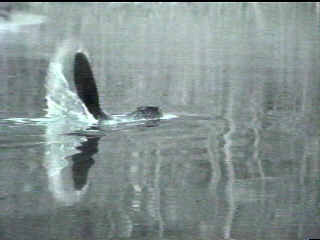 Swimming muskrats can be mistaken for otters too. Beavers have a propensity to slap their big unotterly tail when humans are nearby, but when they don't, they can be mistaken for otters. 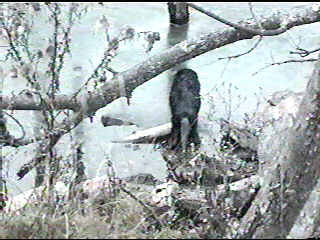 At the bottom of this page I will provide links to my web pages on beavers, muskrats and minks where you can find more information and video clips of those animals. 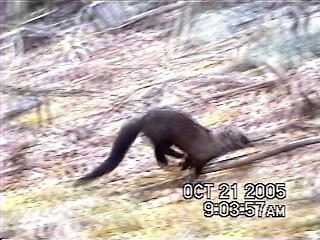 And most like the otter in size and shape is the fisher. However, despite its name, it rarely swims in the water. I am trying to use my many video clips of otters to give an detailed picture of their lives, but it is slow work, made slower by the otters being, at times, too enjoyable to be explained. 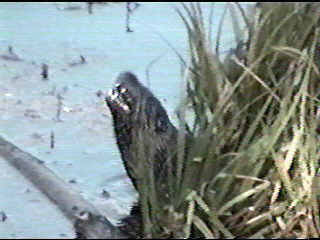 I do have two web pages exploring the otters' world and how they behave in that world. 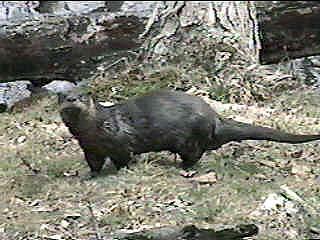 And click otter commonplace book to read what others like Audubon and Thoreau have written about otters. 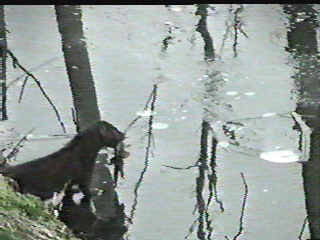 And I wish I didn't have to write about New York State's policies on otter trapping, which seems designed to limit our enjoyment of otters. Is that you, Bob Arnebeck?